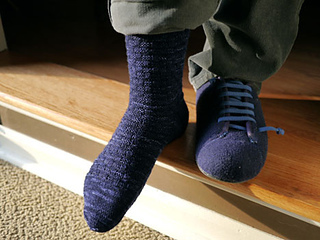 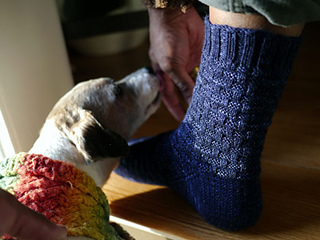 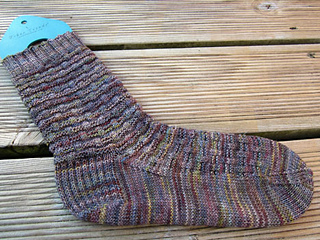 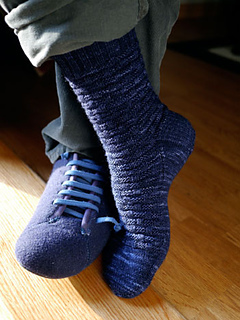 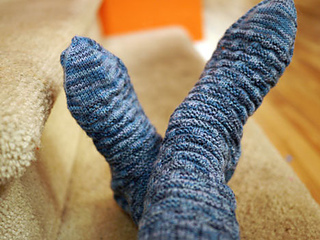 An allover knit/purl basketweave pattern extends down the leg and over the foot of this top-down sock in five sizes (XS/S/M/L/XL), delivering toe-wiggling texture to sock appreciators of all ages. 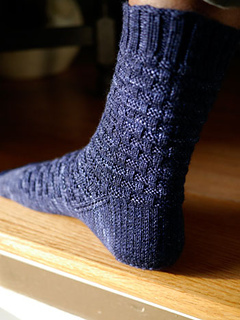 With just enough pattern to keep things interesting, this design will appeal to new sock knitters or those seeking a simple on-the-go project. 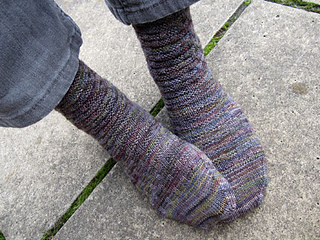 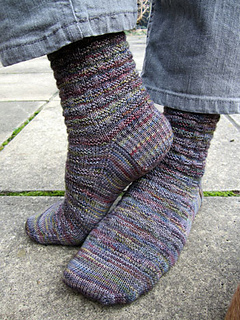 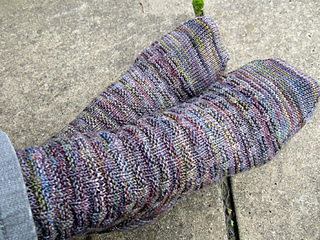 This pattern is easily converted to toe-up construction, as the motif is vertically reversible.